One of our most anticipated events, Desert Stanzas, will return in 2019. A night of cultural entertainment unique to Dubai, Desert Stanzas celebrates international and homegrown poetic talent in a desert camp on the edge of the city. 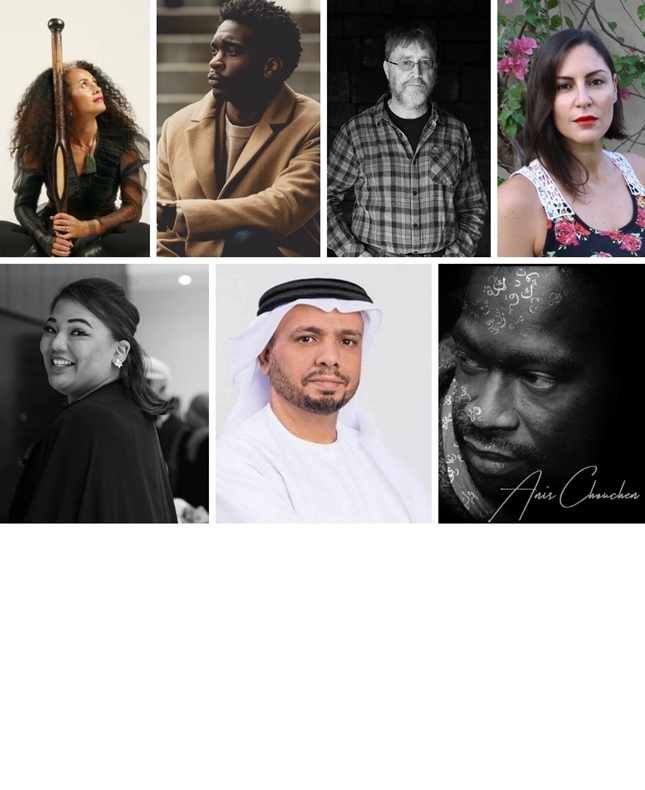 In a new venue for 2019, this edition of Desert Stanzas will bring together talented poets from around the world for an evening of powerful poetry under the stars, alongside music and traditional Emirati food. Click here to download programme schedule. - Please carry warm clothing such as jackets, coats, etc. ; temperatures drop dramatically in the desert. - It would be best to wear warm and comfortable closed toe shoes. - There are RTA buses leaving from the InterContinental Event Centre at 17:45 and 18:00 going to the event. Please be on time as the busses will not wait and there are no later departures. The busses return after 21:00. - If you self-drive there is a car park and a short walk to the camp. You do not need a 4x4. - There will be vehicles located at several checkpoints guiding your way into the camp. - Please follow exact google location pin as it will guide you to our drop off point. In case you are driving – the camp is located in Al Sahara Desert Resort, and the name of the site is Caravanserai. See map here: https://goo.gl/maps/qKB8a341E7s (No 4x4 required).